Take your style to new levels with this The Kooples™ Eyelets Lightweight Sweater. Elongated long sleeves with ribbed cuffs. Knitted pattern accentuated by silver-tone eyelets. Hand wash cold, dry flat or can be dry cleaned. 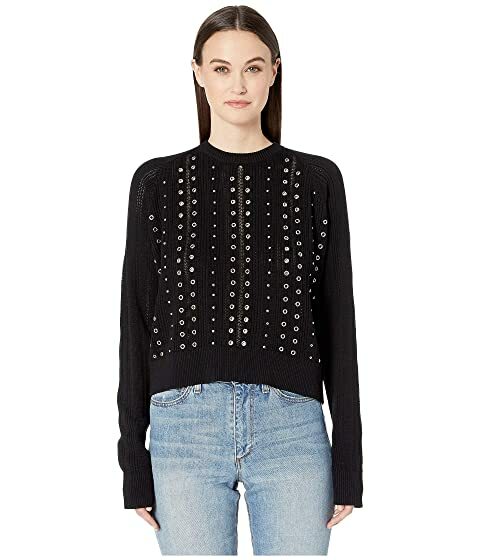 We can't currently find any similar items for the Eyelets Lightweight Sweater by The Kooples. Sorry!